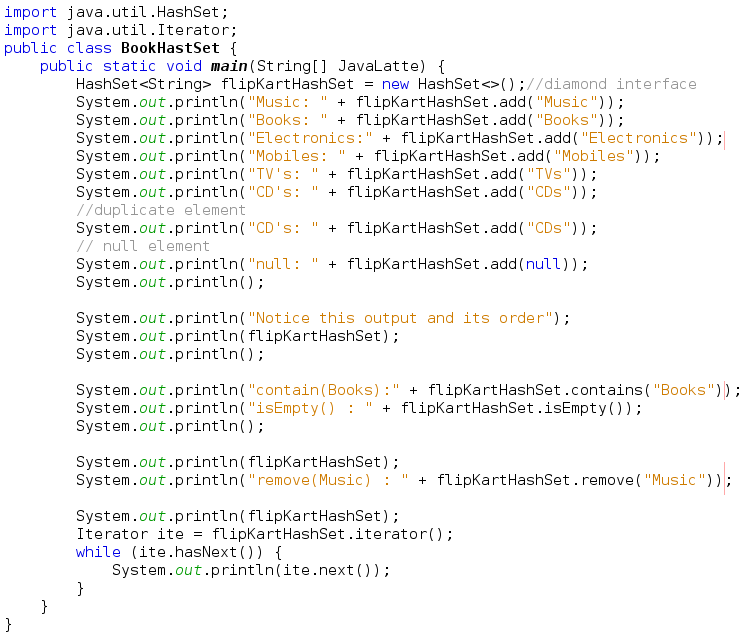 In this post, we'll dig into the basic collections that we use day to day java programming. I'll hope the this post will help to understand and remember the concept of collection framework. In simple term, you can say collection is a container — is simply an object that groups multiple elements into a single unit. For instance, Collection correspond to a bag. Typically, they represent data items that form a natural group such as a collection of cards,a collection of letters, and a mapping of names to phone numbers. There are really three overloaded uses of the word "collection"
collection(lowercase c), which represents any of the data structures in which objects are stored and iterated over. 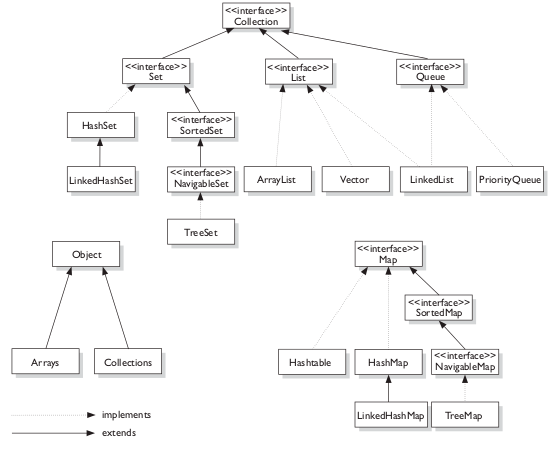 The Collections Framework in the java.util package is loaded with interfaces and utilities. Interfaces Represent different types of collections, such as sets, lists, and maps. These interfaces form the basis of the framework. Implementations Primary implementations of the collection interfaces. 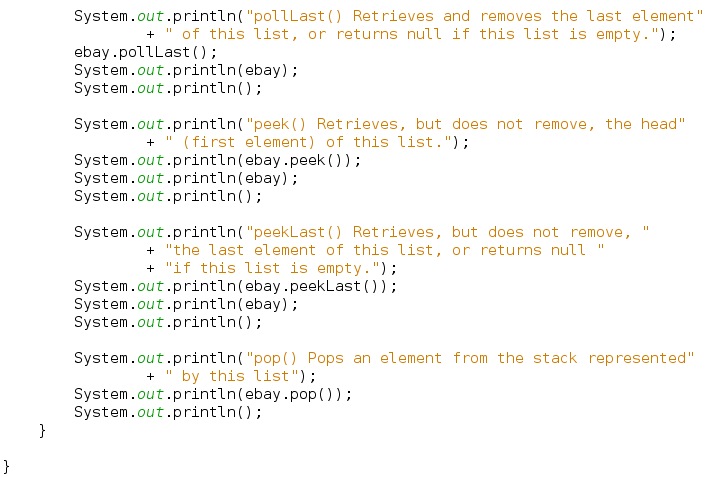 Algorithms Static methods that perform useful functions on collections, such as sorting a list. A basic set of collection implementations : Using an existing, common implementation makes your code shorter and quicker to download. Also, using existing Core Java code core ensures that any improvements to the base code will also improve the performance of your code. Reduces programming effort by providing data structures and algorithms so you don't have to write them yourself. Reduces the effort required to learn APIs by requiring you to learn multiple ad hoc collection APIs. Reduces the effort required to design and implement APIs by not requiring you to produce ad hoc collections APIs. Collection is an interface with declarations of the methods common to most collections including add(), remove(), contains(), size(), and iterator(). Sets Unique things (classes that implement Set). Maps Things with a unique ID (classes that implement Map). Queues Things arranged by the order in which they are to be processed. A List cares about the index. 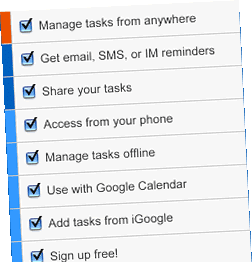 remove(Object) removes at the start of the list. Search — searches for a specified object in the list and returns its numerical position. Range-view — performs arbitrary range operations on the list. ArrayList is an array based implementation where elements can be accessed directly via the get and set methods. Default choice for simple sequence. We'll see fail-fast in the following example. 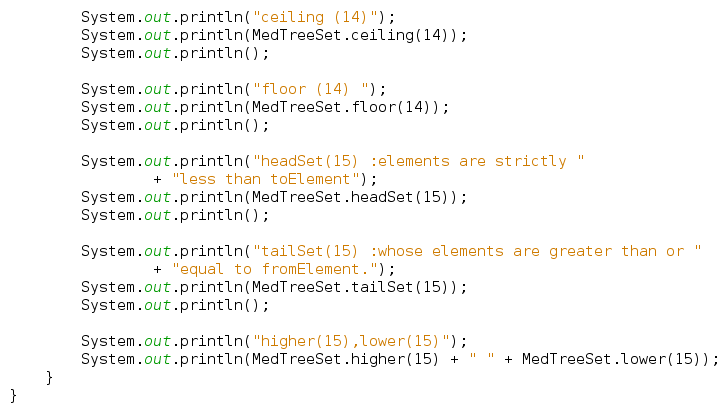 A Vector is basically the same as an ArrayList, but Vector methods are synchronized for thread safety. You'll normally want to use ArrayList instead of Vector because the synchronized methods add a performance hit you might not need. 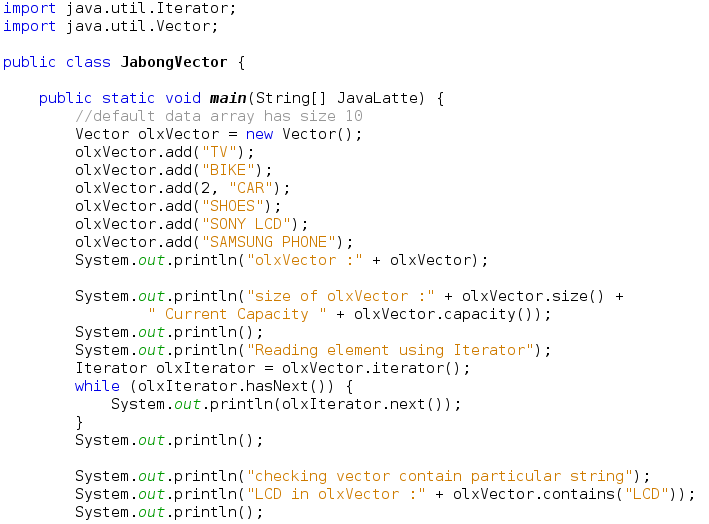 Vectors are synchronized, ArrayLists are not. If multiple threads access an ArrayList concurrently then we must externally synchronize the block of code which modifies the list either structurally or simply modifies an element. Structural modification means addition or deletion of element(s) from the list. Setting the value of an existing element is not a structural modification. 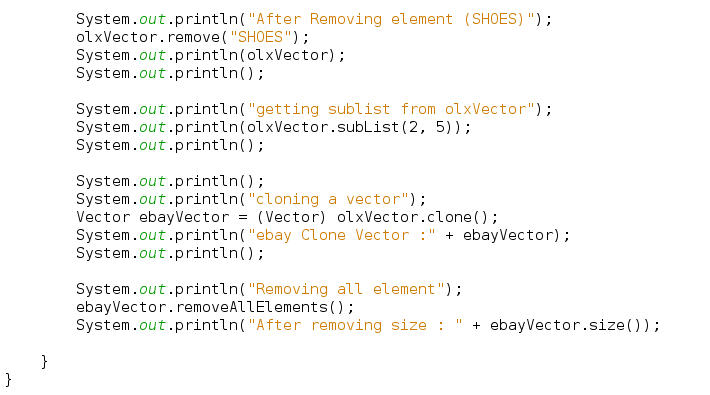 A Vector defaults to doubling the size of its array, while the ArrayList increases its array size by 50 percent. Depending on how you use these classes, you could end up taking a large performance hit while adding new elements. 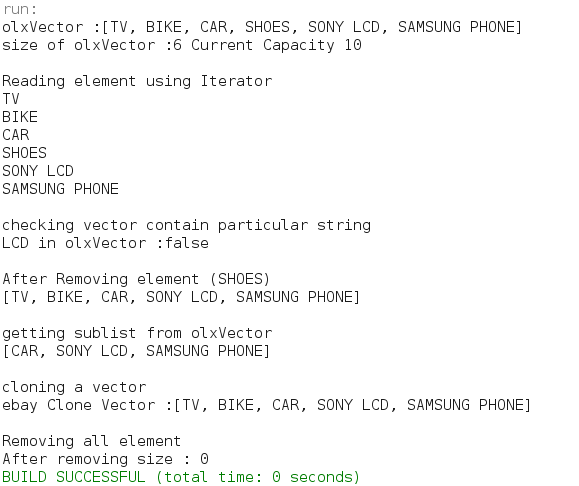 It's always best to set the object's initial capacity to the largest capacity that your program will need. Vector is often considered deprecated nowadays. 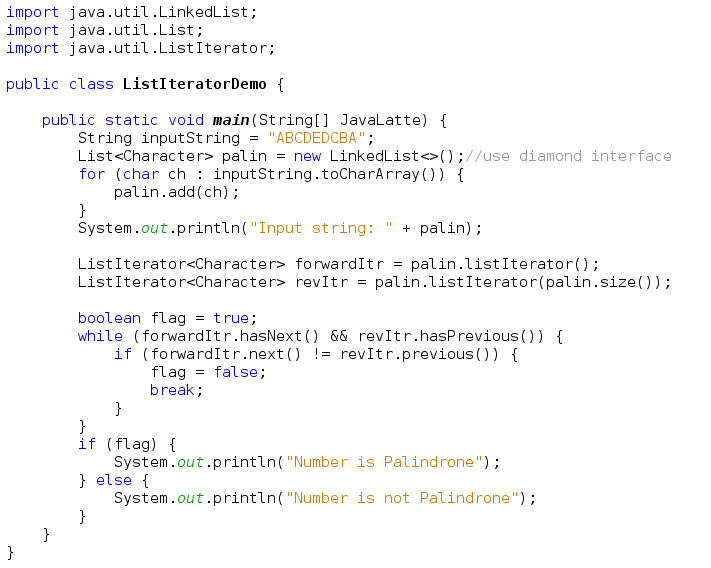 A LinkedList is ordered by index position, like ArrayList, except that the elements are doubly-linked to one another. This linkage gives you new methods (beyond what you get from the List interface) for adding and removing from the beginning or end, which makes it an easy choice for implementing a stack or queue. 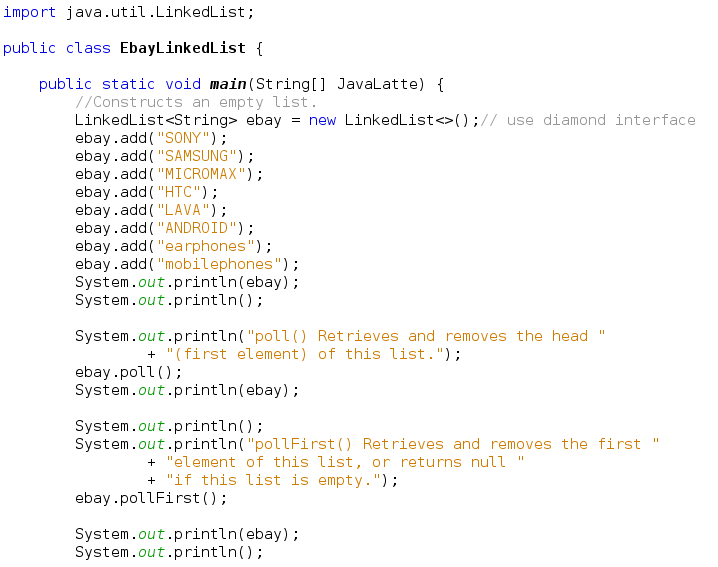 LinkedList and ArrayList are two different implementations of the List interface. 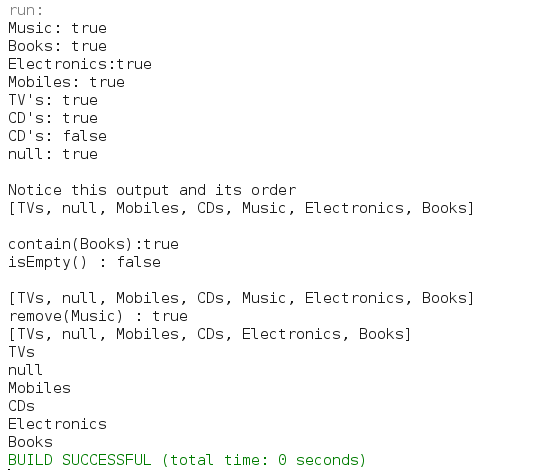 LinkedList implements it with a doubly-linked list. 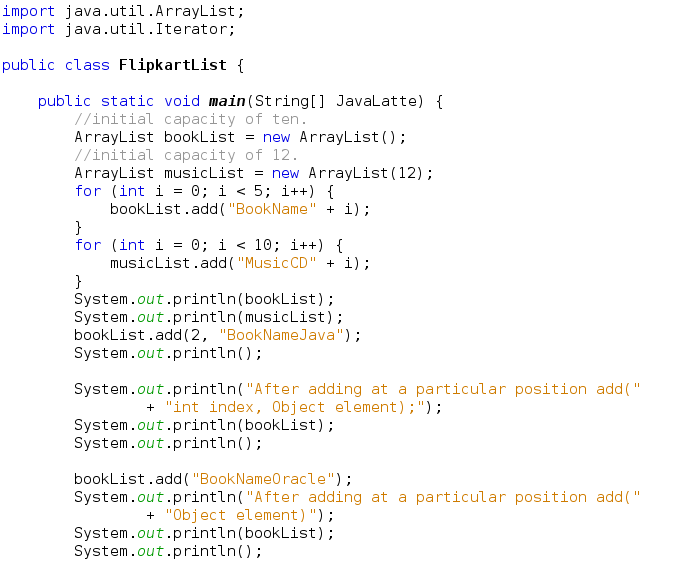 ArrayList implements it with a dynamically resizing array. 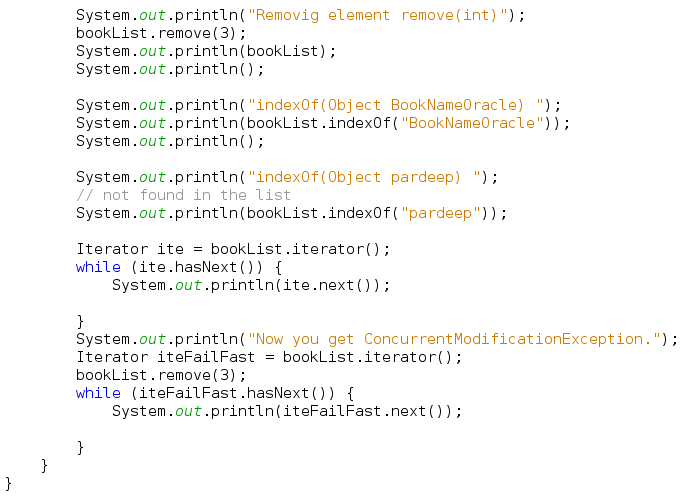 LinkedList<E> allows for constant-time insertions or removals using iterators, but only sequential access of elements. In other words, you can walk the list forwards or backwards, but finding a position in the list takes time proportional to the size of the list. 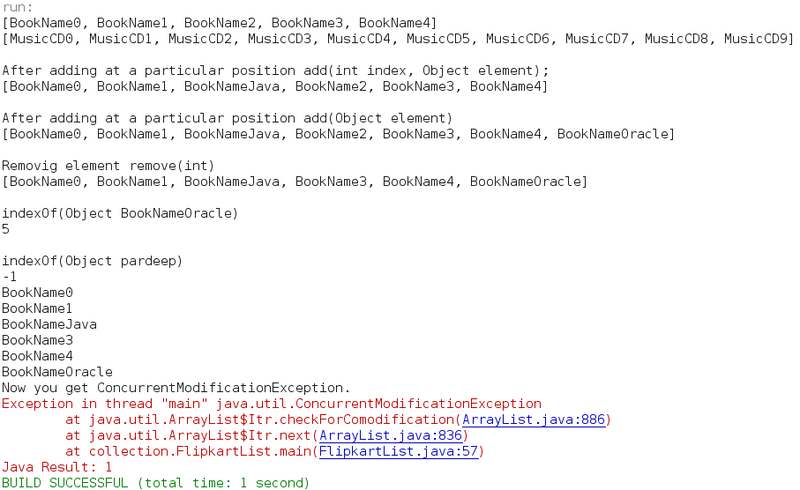 ArrayList<E>, on the other hand, allow fast random read access, so you can grab any element in constant time. But adding or removing from anywhere but the end requires shifting all the latter elements over, either to make an opening or fill the gap. A Set cares about uniqueness—it doesn't allow duplicates. 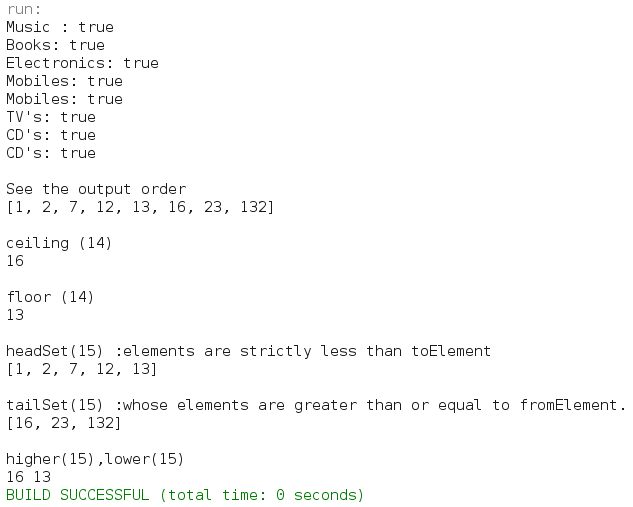 Your good friend the equals() method determines whether two objects are identical. It uses the hashcode of the object being inserted, so the more efficient your hashCode() implementation the better access performance you'll get. Use this class when you want a collection with no duplicates and you don't care about order when you iterate through it. 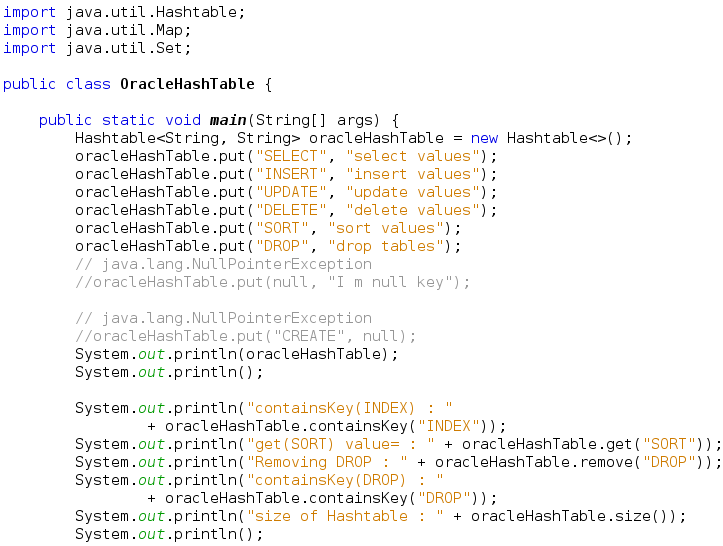 When you iterate through a HashSet the order is unpredictable, while a LinkedHashSet lets you iterate through the elements in the order in which they were inserted. It provides constant-time performance for the basic operations (add, contains and remove), assuming the hash function disperses elements properly among the buckets. 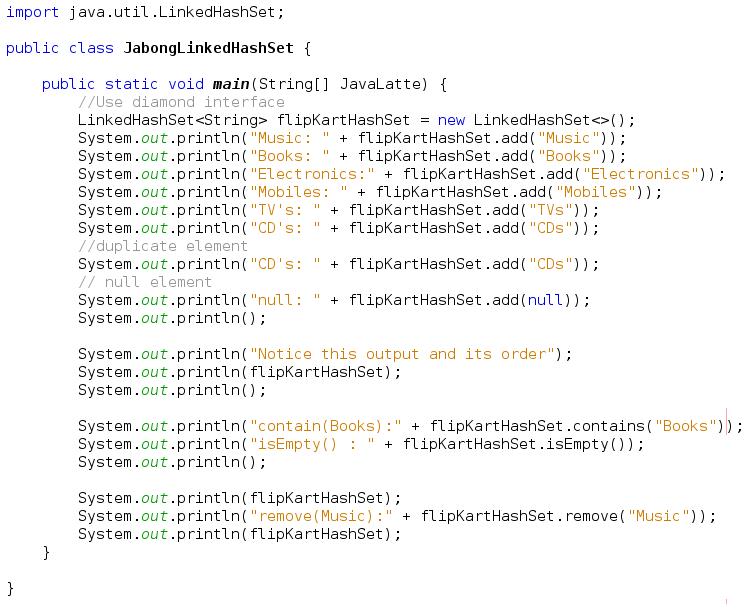 As you have already seen in the above program that order is unpredictable, now we'll in the below program LinkedHashSet maintain insertion order. 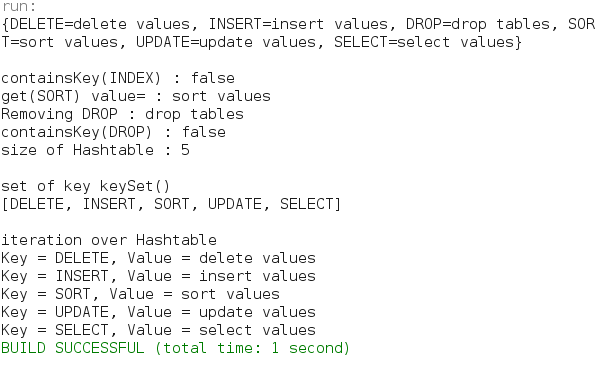 Iteration over a LinkedHashSet requires time proportional to the size of the set, regardless of its capacity. Iteration over a HashSet is likely to be more expensive, requiring time proportional to its capacity. Guarantees log(n) time cost for the basic operations (add, remove and contains). 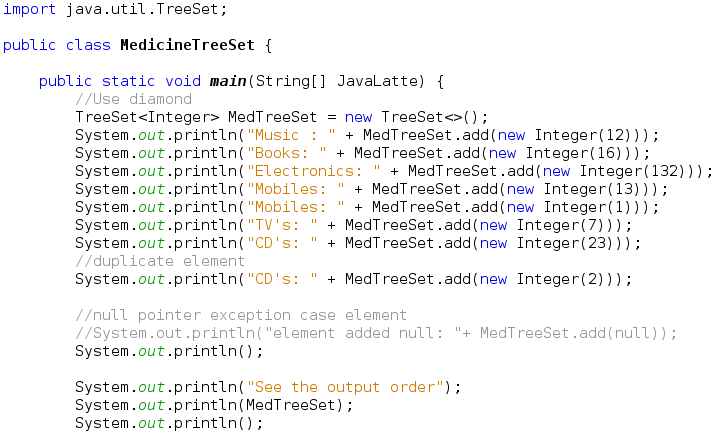 Note that the ordering maintained by a set must be consistent with equals if it is to correctly implement the Set interface. 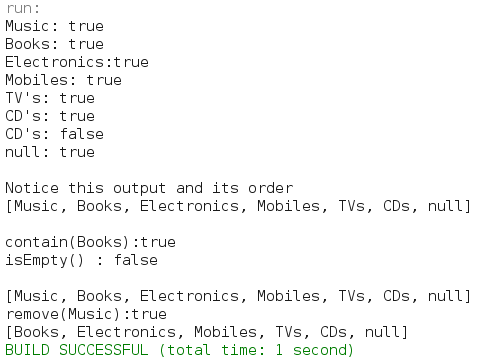 This is so because the Set interface is defined in terms of the equals operation, but a TreeSet instance performs all element comparisons using its compareTo (or compare) method, so two elements that are deemed equal by this method are, from the standpoint of the set, equal. The behavior of a set is well-defined even if its ordering is inconsistent with equals; it just fails to obey the general contract of the Set interface. ceiling(E e) : Returns the least element in this set greater than or equal to the given element, or null if there is no such element. floor(E e) : Returns the greatest element in this set less than or equal to the given element, or null if there is no such element. higher(E e) : Returns the least element in this set strictly greater than the given element, or null if there is no such element. lower(E e) : Returns the greatest element in this set strictly less than the given element, or null if there is no such element. SortedSet<E> headSet(E toElement) : Returns a view of the portion of this set whose elements are strictly less than toElement. SortedSet<E> tailSet(E fromElement) : Returns a view of the portion of this set whose elements are greater than or equal to fromElement. class offers constant time performance for the basic operations (add, remove, contains and size). Iteration performance depends on the initial capacity and the load factor of the HashSet. log(n) time cost for the basic operations (add, remove and contains). A Map cares about unique identifiers. 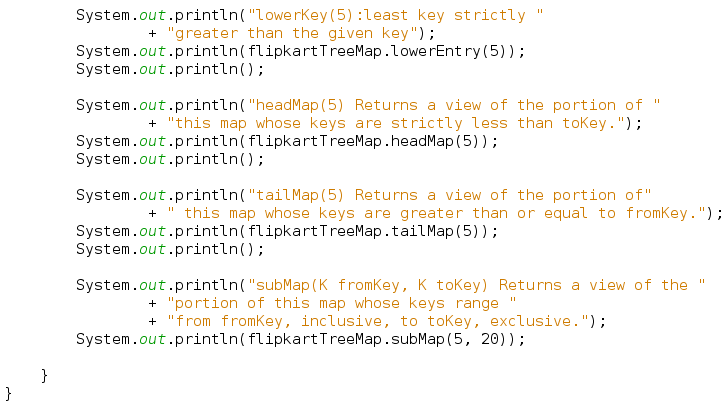 The Map implementations let you do things like search for a value based on the key, ask for a collection of just the values, or ask for a collection of just the keys. 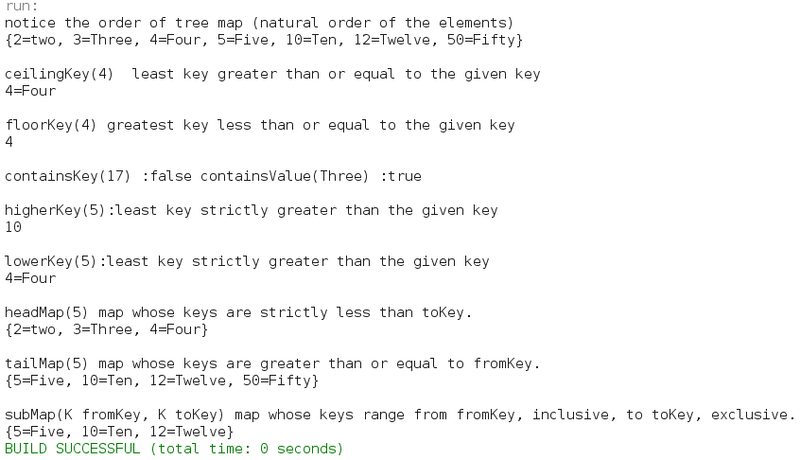 Like Sets, Maps rely on the equals() method to determine whether two keys are the same or different. The Map interface provides three collection views, which allow a map's contents to be viewed as a set of keys, collection of values, or set of key-value mappings. 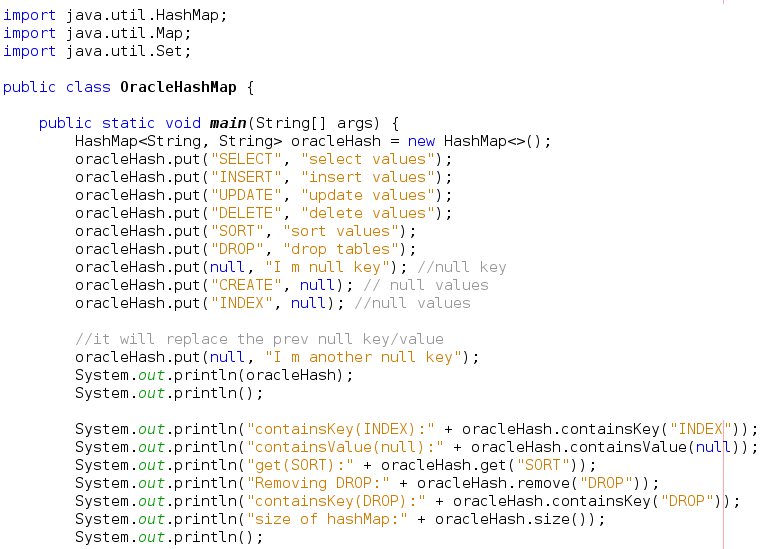 The HashMap gives you an unsorted, unordered Map, it does not guarantee that the order will remain constant over time. The more efficient your hashCode() implementation, the better access performance you'll get. This implementation provides constant-time performance for the basic operations (get and put), assuming the hash function disperses the elements properly among the buckets. As a general rule, the default load factor (.75) offers a good tradeoff between time and space costs. Just as Vector is a synchronized counterpart to the sleeker, more modern ArrayList, Hashtable is the synchronized counterpart to HashMap. Like its Set counterpart, LinkedHashSet, the LinkedHash- Map collection maintains insertion order (or, optionally, access order). Slower than HashMap for adding and removing elements, you can expect faster iteration with a LinkedHashMap. Example will be same as above. 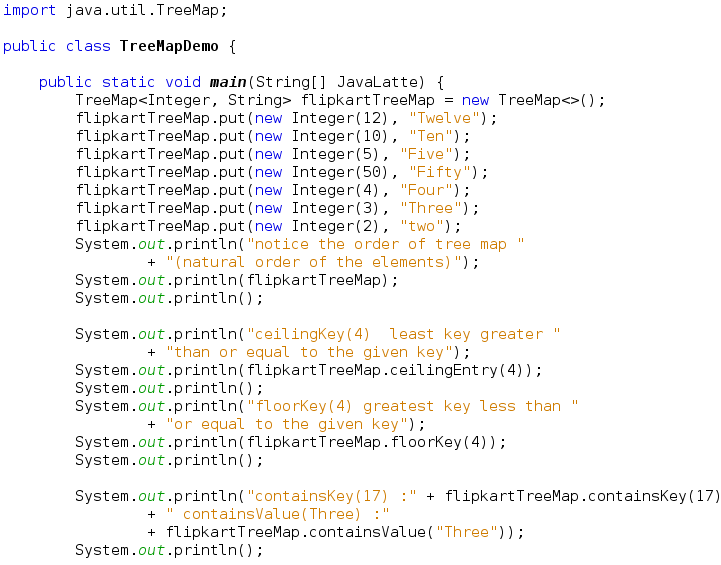 TreeMap is a sorted Map. And you already know that by default, this means "sorted by the natural order of the elements. The iterators returned by this all the above class's iterator methods are fail-fast as you have already seen in the above examples. Map is not a apart Of Collection.The content is really good carrying all the useful information.